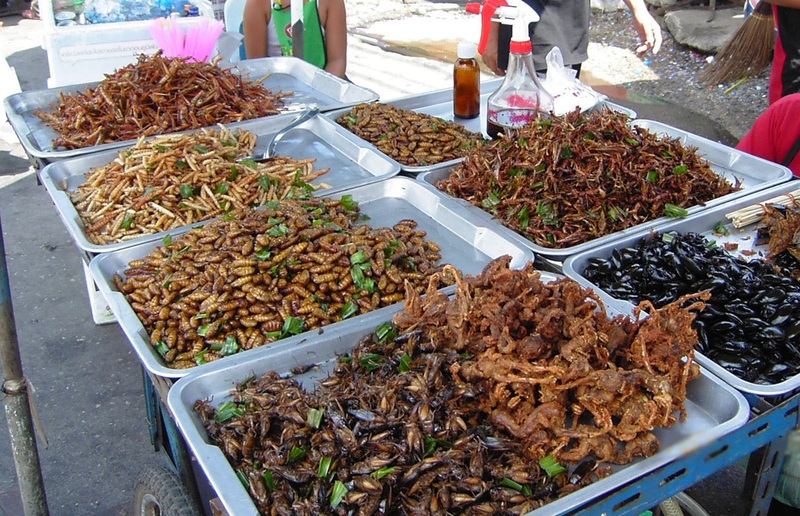 New research has shown that eating insects instead of beef could help to tackle climate change by reducing harmful emissions. The researchers said that replacing half of the meat eaten worldwide with crickets and mealworms would cut farmland use by a third, which will in turn substantially reduce emissions of greenhouse gases. The paper, ‘Could consumption of insects, cultured meat or imitation meat reduce global agricultural land use?’ studied several substitutes for animal products as sources of both protein and energy. Scientists considered a scenario in which half of the current mix of animal products are replaced by insects, lab-grown meat or imitation meat. They found that insects and imitation meat – such as soybean-based foods like tofu – are the most sustainable as they require the least land and energy to produce. Beef is the least sustainable, the team says. The group of scientists, which included Professor Dominic Moran of the N8 Research Partnership’s AgriFood programme, says halving global consumption of animal products by eating more insects or imitation meat would free up 1680 million hectares of land – 70 times the size of the UK.